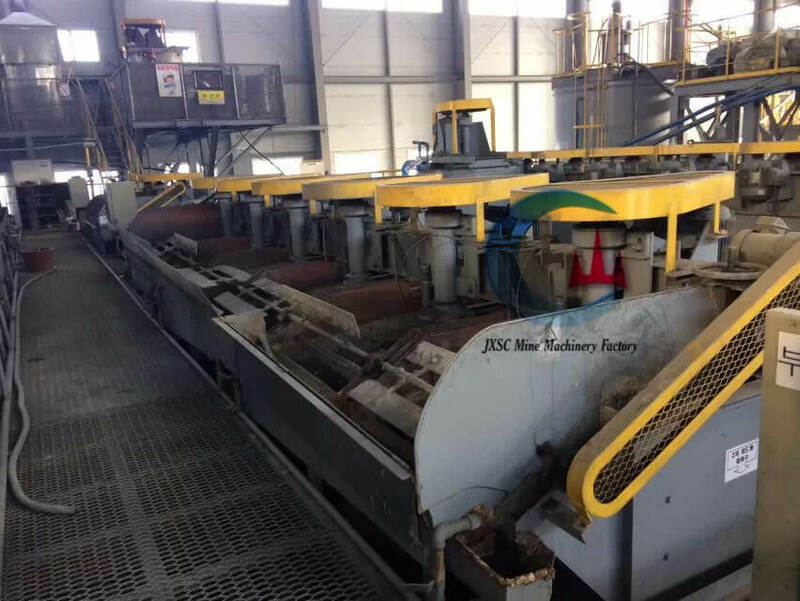 The flotation process method is a widely used technique for the recovery of gold from gold-containing copper ores, base metal ores, copper-nickel ores, platinum group ores and many other ores where other processes are not applicable. Related Equipment: Vibrating feeder, rotary crusher, fine crusher, ball mill, spiral classifier, mixing tank, flotation machine, thickener. 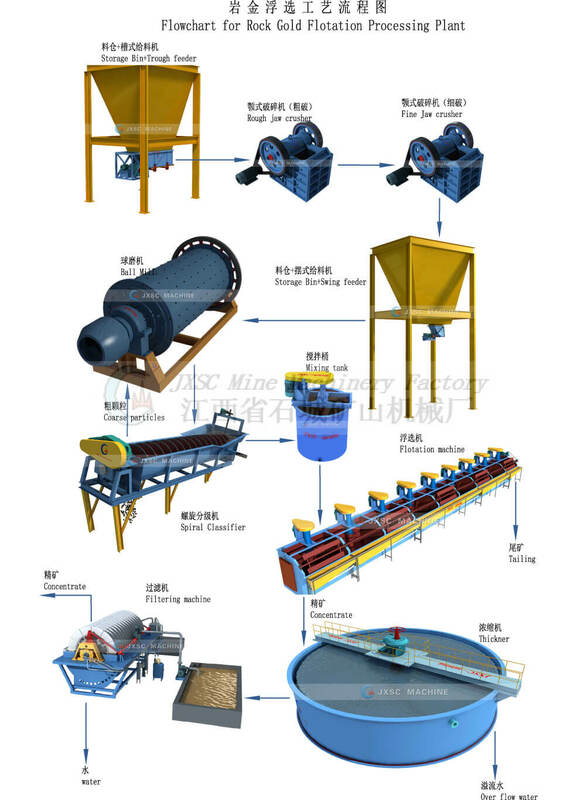 Flotation Process means that gold ore is generally crushed by gold mining equipment (crusher equipment, Jaw crusher), then crushed by gold processing equipment (ball mill), and then treated by gold panning equipment such as flotation machine, etc. Through gravity separation, flotation machine, extraction of metals from ores, and then the application of mineral reagents through chemical methods, and finally after smelting, the final product into finished gold processing. Gold ore is a mineral aggregate with sufficient gold content and can be used industrially. Gold mines are places where gold is obtained through mining operations According to the structural state and the content of gold in the ore, the gold deposit is a kind of industrial deposit which is formed by Mineralization The gold minerals in gold deposits can be divided into three categories: Gold minerals, gold-bearing Minerals, and gold-bearing minerals. The so-called independent mineral of gold refers to the gold in the form of gold minerals and gold-bearing minerals. 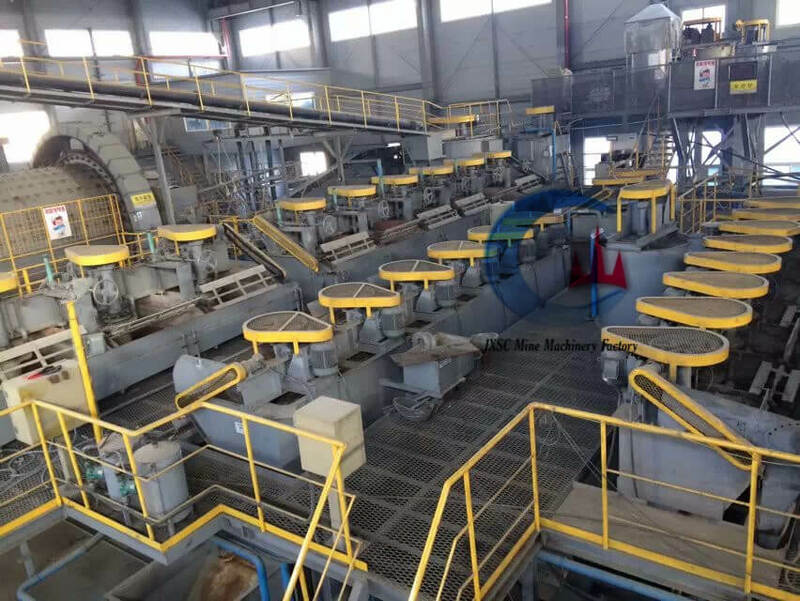 For simple ore just containing gold, and the granularity of gold is uniform, and high floatability, simple grinding and flotation process is always the best solution. If the ore contains some particle gold, gravity or amalgamation operation will be set in the grinding and classification circuit. Gold is usually concentrated in mineral concentrate by flotation if the gold is contained in polymetallic ore. In the flotation process, the following steps are included: crushing and screening, grinding and classification, flotation, thickening, filtration, etc. The common equipment includes jaw crusher, cone crusher, belt conveyor, vibrating screen, ball mill, spiral classifier, flotation cell (or flotation column), slurry pump, thickener, ceramic filter and so on. The main factors affecting flotation include grinding fineness, slurry concentration, the dosage of agents, volume of aeration, flotation time and so on.